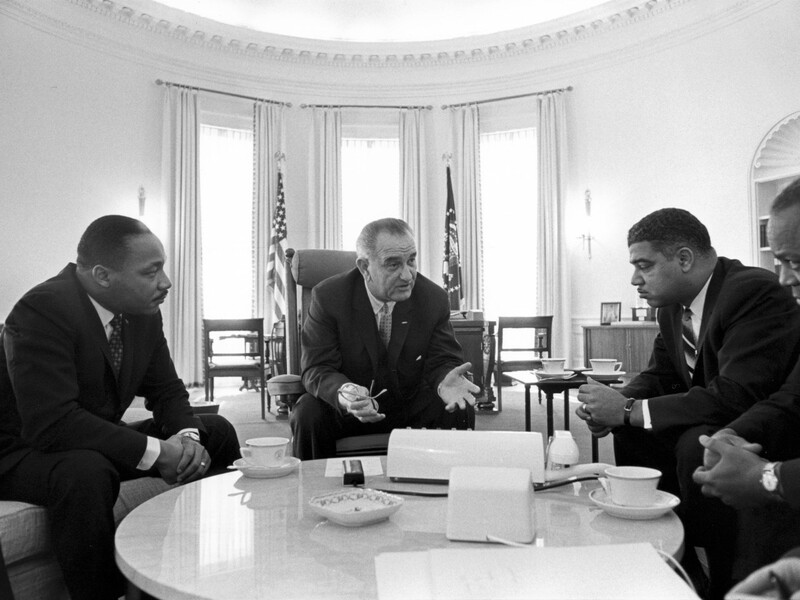 Howard Zinn Remembers Whitney Young Jr.
Whitney Young Jr. (seat on right) became a personal advisor to President Lyndon Johnson, working alongside other historic civil rights leaders, to help pass the landmark Civil Rights Act of 1964. Source: Urban League of Nebraska. You can learn this from Whitney: that it’s possible to have an important post and still move out from that and join whatever movement is going on for social justice. I think that’s something people can learn.